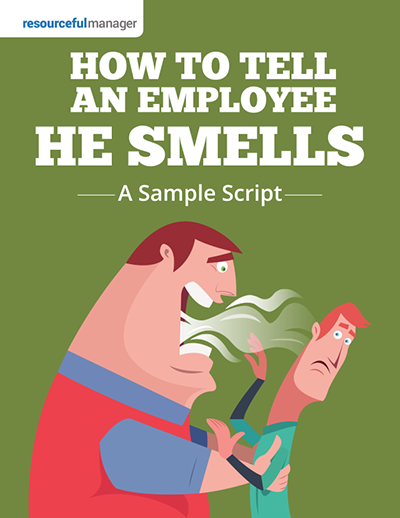 Dealing with an employee's hygiene is a tough conversation every manager dreads, but unfortunately has to have. Use this script to guarantee a successful encounter. Join the club where more than 60,000 smart resourceful managers come to improve. Note: Once you register, you will have continuous access to the MyResourcefulManager resource library via your username (email address) and password (sent to you via email). You understand that we'll send you daily emails with fresh content and promotional offers from ResourcefulManager. As always, we respect your privacy, and you can unsubscribe at any time.